One of the most recognizable and widely adored faces of Audi’s world-beating Le Mans prototype program will now head up their Formula E team. 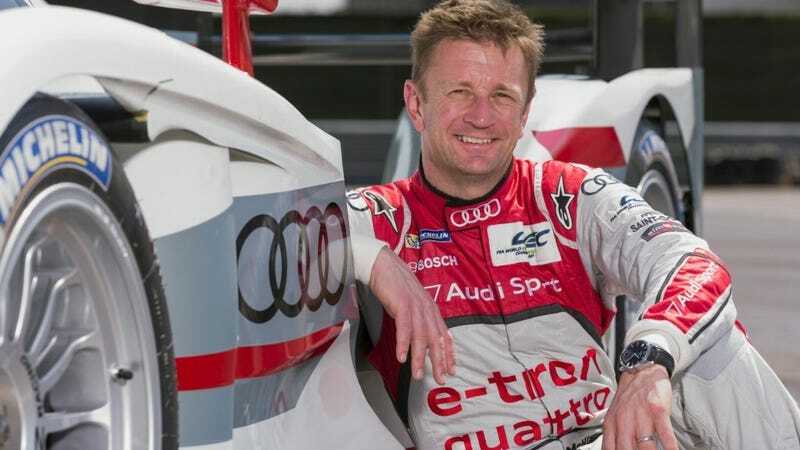 Audi unveiled their first full-factory Formula E car today and announced that Allan McNish would be the Team Principal for the newly rechristened Audi Sport ABT Schaeffler Racing team. Three-time Le Mans winner McNish will no doubt lend a bit of credibility to Audi’s newest project, which replaced the lovely R18 Le Mans prototype program which was too synonymous with diesel to survive the Volkswagen Group’s Dieselgate scandal. Formula E is the R18's squeaky-clean replacement, and McNish is still a name that commands a ton of respect even among those of us who were saddest to see Audi leave endurance racing prototypes behind. Previously, Audi had been a partner of the ABT Schaeffler Formula E team, but next season, that team will become Audi’s works effort. Thus, the new Audi e-tron FE04 car is the first single-seater ever developed for the Audi marque. While the chassis is spec, Audi will be allowed to develop the new FE04's powertrain, plus select parts of the suspension and software. Audi’s goal is to make all of these components as efficient as possible, which includes a new single-gear high-efficiency transmission for next year. That’s right: a one-speed. Like the old R18 e-tron quattro diesel Le Mans prototype, the new works Formula E car is there to promote what Audi’s doing on its road car side. Audi expects to have over 20 electrified (as in, either hybrid or full-electric) cars on sale by 2025. Reigning Formula E champion Lucas di Grassi and his teammate Daniel Abt will return to drive for the Audi Sport team next year. Abt has been named an Audi factory driver as a result. Both drivers are in their fourth Formula E season, earning a combined 24 podiums, six wins and four pole positions. The Audi e-tron FE04 will make its racing debut in the Formula E season opener on December 2 in Hong Kong.